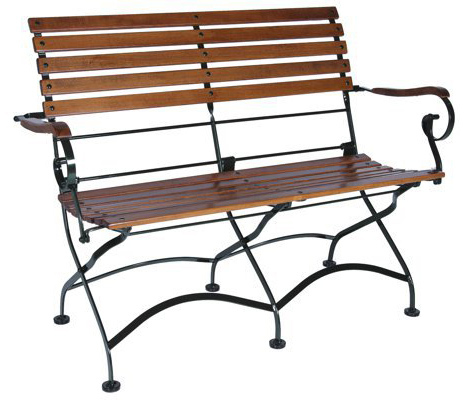 Durable, European made steel and chestnut French bistro style folding benches are faithful reproductions of the 19th Century original French garden chair design with modern improvements. French bistro folding benches are attractive enough to use inside for permanent dining room installations. 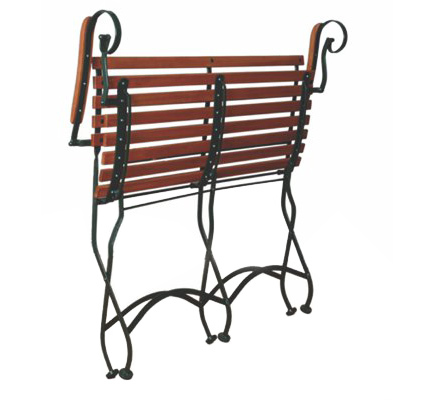 Durable for use outside with drawn steel frames treated for rust resistance and powdercoated.